An arch, like a plant well fixed into the ground, running towards external lights. 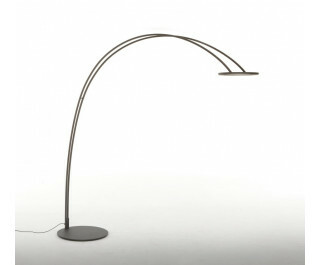 A lamp of which minimalism is the main characteristic, a lamp allowed to perfectly melt withe any environment surrounding it. A clear figure, in the matt white version, or firmly present, in the carbon grey version.